The Yupik are three indigenous peoples who live along the coast of western Alaska: the Central Yupik West Alaskan Eskimo, the Pacifc Yupik Eskimo, and the St. Lawrence Island Eskimo. 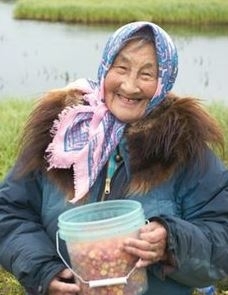 With the above in mind, the Central Yupik West Alaskan Eskimo people are a Yupik people who reside on the Yukon-Kuskokwim delta and along the Kuskokwim River. The majority of their population resides in over 70 villages. The population of each village varies with some being relatively small (only a dozen or so people) while others are larger (with a thousand or so). Evangelical presence in the villages also varies, with some having a few evangelicals while others having no evangelicals and no one intentionally seeking to plant an evangelical church. For over one hundred years, the Russian Orthodox Church has been present among the people. Russian Orthodox missionaries first resided among them and allowed them to maintain their traditional beliefs resulting in their religion being a mixture of Christian and traditional beliefs. Today, Russian Orthodoxy, Roman Catholicism, the Church of Latter Day Saints (Mormons) are present in several of the larger populated communities. Moreover, indigenous beliefs are being revitalized. Consequently, there are still very few evangelicals Christians and churches among the Central Yupik West Alaskan Eskimo. Pray that God will send evangelical Christians to live among and share the message of Christ. Pray that evangelical Christians will boldly share a relevant and contextualized message.